Greg Kasavin on writing a neverending story, creating new biomes, and keeping Hades secret for a full year. Following the reveal of Hades at The Game Awards 2018, I’ve found myself absolutely captivated by the game’s unique roguelite mechanics, beautiful art design, and engaging story. Despite being labeled an “Early Access” title, Hades is surprisingly polished in its approach. While still in active development, updates are released on a regular basis, including last week's "Chaos Update" which substantially increased the number of features and challenges available in Hades. Having put dozens – if not hundreds – of hours into the game, playing Hades has become one of my daily rituals. It's always a joy to jump back into Hades thanks to the cohesion and attention to detail found in every aspect of the game from its rich, Greek-style music, to its diverse biomes including Tartarus and Asphodel. 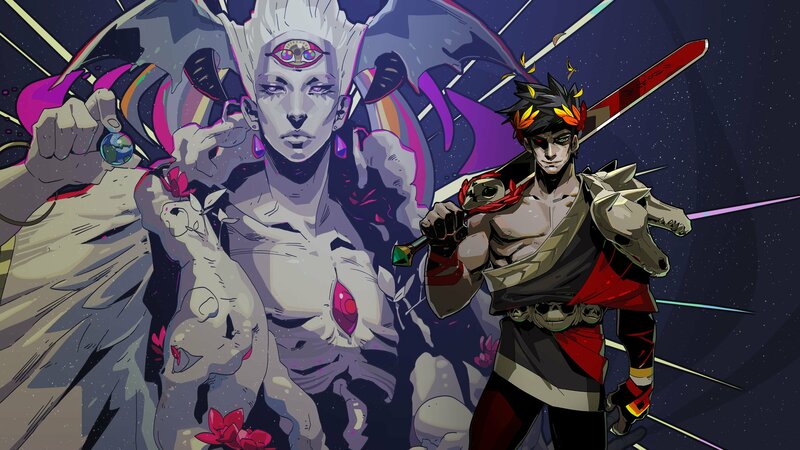 Wanting to dig deeper into the development behind Hades, I reached out to Supergiant's Greg Kasavin who not only answered my questions in depth, but also offered new insight into what fans can expect from the game in the months and years ahead. How did Supergiant evolve from creative experiences like Bastion and Pyre to create something new with Hades? How did they keep the development and planning of Hades a secret, and why did they choose to release it on the Epic Games Store? Can we expect it on other platforms in the future? Read on to find out! 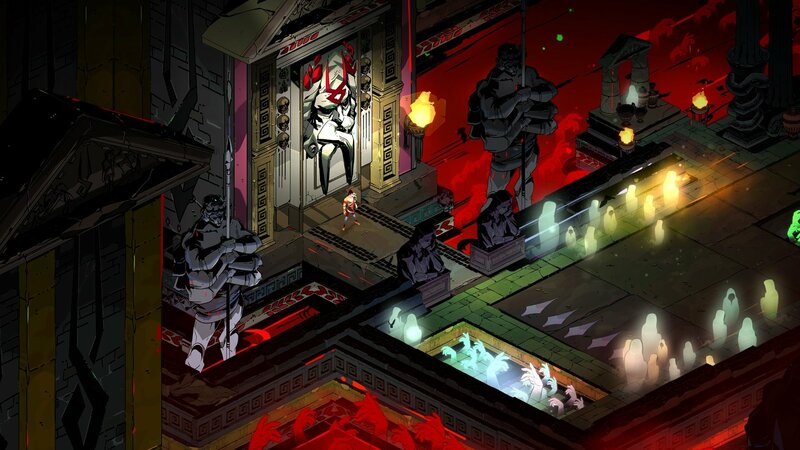 Hades is the first Supergiant title released to Early Access. What made you choose the Early Access route, and based on your experience with Hades, can gamers expect other Early Access titles from Supergiant in the future? Hades is our fourth game as a team, and this time around, we were really drawn to the idea of creating a highly replayable game structure and gameworld that we could grow and evolve over time, taking players' feedback into account as go. We designed Hades from the ground up with this in mind. The premise of the game lets us strongly tie new content to the narrative, and introduce new characters, environments, weapons, features, and more, so that it all feels like part of a living world. Having made several games with a more traditional beginning, middle, and end, this felt like a fresh change of pace for us and a new set of interesting design challenges to dig into. As to whether folks can expect us to go the Early Access route with future titles, right now our sole focus is making Hades the best game it can be. We have only the vaguest sense of what we might do beyond this current project, since Hades will be in Early Access for at least another year. We’ll see how this goes! Did the development team encounter any unexpected challenges while preparing Hades for its Early Access release? Many aspects of the experience of creating this game have been new for us. For sure, the process of both announcing and simultaneously launching a game on a brand-new platform carried with it a variety of challenges, as we revealed Hades during The Game Awards on December 6 last year, and folks could play it in Early Access right in that moment. We somehow pulled this off, though it required a lot of planning and coordination, as well as some luck around the secret not leaking ahead of time. The idea to reveal the game and make it available right at the same time was something we’d been preparing for an entire year. We have also structured our development around these recurring Major Updates every month or so. This gives us quicker, more recurring iteration cycles on every aspect of our production, and we've been getting into the groove of it since last fall, knowing we would continue to operate this way after the Early Access launch, and fully believing our launch would only be the beginning of this project. What have you learned from previous games like Bastion, Transistor, and Pyre that you’ve applied to the development of Hades? I think Hades incorporates a lot of the best ideas from each of our previous games, and we've really learned a lot working together over the years. Hades has the immediacy and accessibility of Bastion, a game you can quickly pick up and start playing. 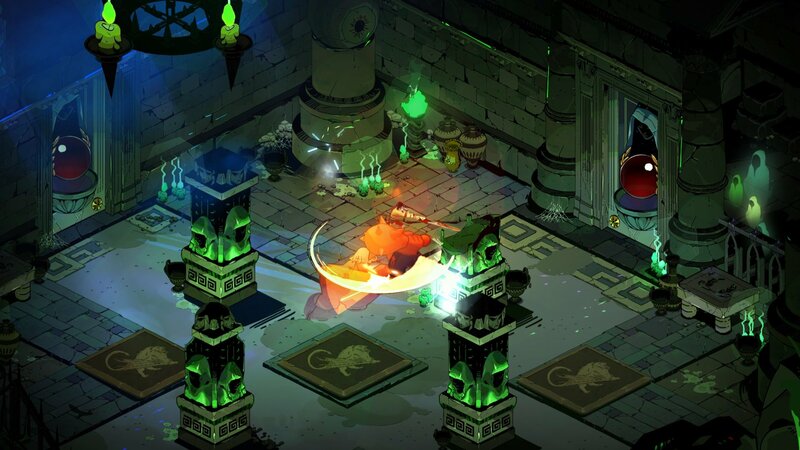 It has the gameplay depth and variety of Transistor, with a combat system where you can create thousands of different character ‘builds' from one play-through to the next, creating significant variety. It has the large cast of colorful characters and forward-moving narrative structure of Pyre, making this a game where the story isn’t strictly locked behind your progress, and you can get to the know the characters the more you play. Above and beyond all that, Hades has our broader approach to game design in how it strives to make the game structure and narrative strongly connected, so players can feel invested and immersed as much as possible. Our development process has also evolved a lot over the years, and I think we have a stronger, clearer sense of how to navigate through day-to-day development challenges than we did years prior. In the first episode of the Noclip documentary on Hades, viewers can see members of the development team playtesting different builds of the game. Which staff member is currently the best at Hades, and do they have any pro tips for newcomers? You know, we’ve never really set up any sort of competition to see who on the team is the best at the game! Outside of our testing team, if I had to choose someone right now, it'd be our audio director and composer Darren Korb. He’s been playing at a high level and giving good feedback about a lot of the endgame systems and content, and historically has always had a knack for finding busted-strong stuff in all sorts of games. I’m no slouch either, and my pro tips are as follows: Early on, I suggest trying to gather as much Darkness as possible, the purple resource that lets you get upgrades from the Mirror of Night. You’re going to want to get Greater Reflex, which lets you dash multiple times in succession, and Death Defiance, which keeps you alive longer. Early survivability will let you get farther in each run. Using your Dash is vital for avoiding damage and getting into position. Once you’re comfortable with that, start taking more advantage of your ranged Cast and your weapon’s Special Attack, looking for opportunities to weave these into your playstyle depending on which Olympians' Boons you get. Hades has a fantastic, deep story that unravels over time and encourages players to interact with each of the NPCs. Was writing story content for a roguelite game like Hades difficult? How did the team decide upon mechanics like gifting Ambrosia and an expandable Codex? Thank you for the kind words! It’s been a lot of fun writing for this game, and having a fully voiced narrative with a larger cast for the first time in one of our games. The idea of the game, of a ‘reverse Diablo' where you try to escape from hell, only to wind up back at the bottom each time you failed, was so intriguing that aspects of the writing quickly showed promise. Even still, figuring out how to create a substantive narrative that would work with a game that could in theory be infinitely replayable for sure has had its challenges, and the game already has a large volume of narrative content even though we’re just getting started with Early Access. I have a couple of broad goals approaching the narrative. First, I want it to be largely optional and elective. Hades is meant to be a game where you can just play for a bit here and there, without feeling like you need to hunker down for a long and involved session. Plus, when the story is there for players to engage with at their own pace, I think the result is more impactful. Second, I want the tone of the experience to match the tone of the gameplay. Roguelikes I think can bounce between humor and frustration, such as when you make some bone-headed mistake, losing all your progress. We want this game to laugh with you rather than at you in these moments, and it’s been encouraging to see players responding well to the humor in Hades. We wanted the game’s tone to be unexpectedly lighthearted despite appearances. Last, the story has to be about something and to go somewhere, as in our past games. It’s not enough to just have some humorous interactions here and there. To me, this story of a big, dysfunctional family that happen to be gods was extraordinarily intriguing to explore. That it's humorous I don't think undercuts its ability to resonate. Right now, the highest level players can reach is Asphodel. Is there any word or hint as to what the next level is and when it might be released? Creating the next biome after Asphodel is one of our top priorities on the team for a bunch of reasons. The sooner we get to what we expect will be the full game structure, the sooner we'll gain a greater understanding of how best to balance the game over the course of a complete run, and what additional systems are needed to support that structure. At the same time, new biomes are also one of the biggest undertakings for our team, combining hundreds of tasks -- new types of enemies, new types of encounters, new mechanics, new narrative, and so on. So, I can’t say yet when we’ll roll out our next biome, though we have an internal target for it and are actively working on it, taking steps toward that goal as part of our Major Updates each month. For now, we have prioritized systems that add even greater variety and range of challenge to the content that we do have in the game. 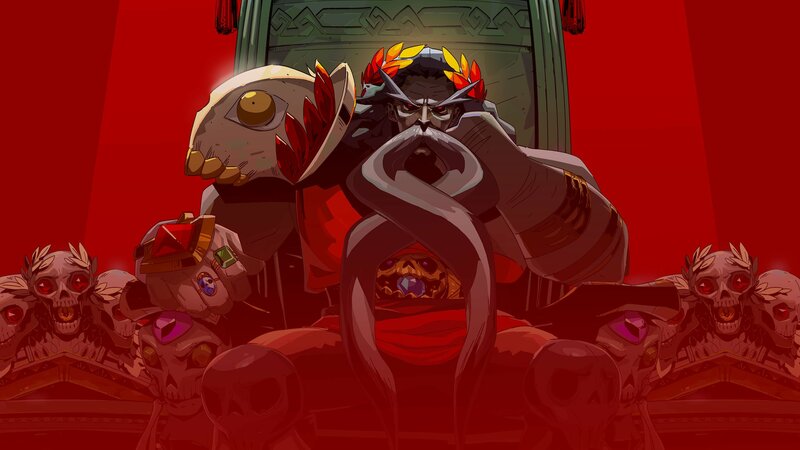 Hades has a phenomenal soundtrack composed by the masterful Darren Korb. What type of instruments and sounds were used to enhance the unique setting of Hades and its take on Greek mythology? Also, can we expect additional tracks as new levels of the game are released? As soon as we decided on the theme for Hades, Darren quickly picked up a variety of traditional Greek and Middle Eastern instruments, such as the baglama and the bouzouki. He combined sounds from these with modern percussion and electric guitar to make for the driving rhythms of the game. When we were just getting started, earlier music explorations had a more traditional vibe but also a drearier feel, so we leaner into the more intense and exciting style you hear in the game today. 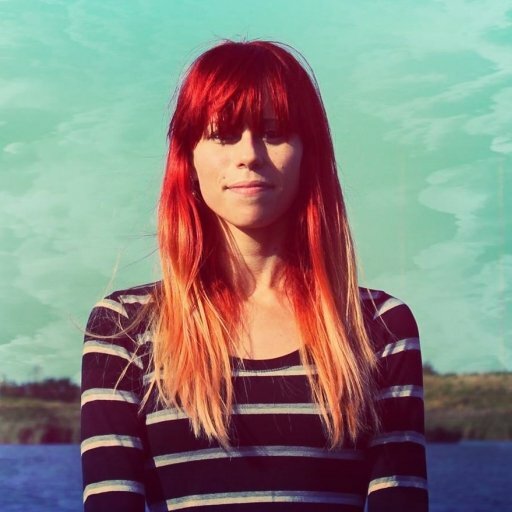 And, we do expect to keep releasing new tracks throughout Early Access! Our first new track is this otherworldly theme for Primordial Chaos, featured in our first Major Update. With Hades exclusive to PC via the Epic Games Store, are there plans to release Hades on other platforms in the future such as PlayStation 4, Xbox One, or Nintendo Switch? Having Hades on a single platform right now means we can develop and iterate on the game as quickly as we need to during Early Access. Once Early Access is complete, we expect the game will come to a variety of other platforms. Though since that won’t be for at least another year, we’re holding off on making specific promises about what all those platforms will be. It seems very possible that there will be intriguing new platforms by that point that we don’t know anything about today. Will you be showing Hades at events this year like PAX or E3? We don’t know just yet! We’ve gone to at least one PAX each year since 2010, so you can pretty much count on us being at PAX West later this year. Our main focus this year though is continuing to build out the game, making it bigger and better with each next Major Update. It’s shaping up to be a fast-paced year! Finally, what are some of the most exciting things Hades players can look forward to in 2019? What’s really exciting about Hades for us is that each of the Major Updates we roll out should evolve the game in significant ways, adding more dimensions to the play experience and the narrative. We’ve been really happy with the response so far, and are fired up to keep exploring all the potential we have here. Our first major update introduced Primordial Chaos, which I think is one of those characters and concepts from Greek myth that’s incredibly fascinating and also really underexplored in modern media. Looking ahead, players can anticipate us continuing to roll out a combination of ‘household names' from Greek myth, of course each with our own unique spin – but also these lesser-known characters we think are so intriguing. I hope players come to anticipate these updates to give them great reasons to come back to the world of this game again and again. We want to thank Greg Kasavin and the Supergiant team for taking the time to answer all of our questions regarding their latest game, Hades. If you're interested in checking out the game for yourself, you can purchase a copy over on the Epic Games Store. To learn more about Supergiant, be sure to visit the official Supergiant website, and follow them over on Facebook, Twitter, and YouTube! For more on Hades, check out some of our previous features including our Early Access review of Hades, the patch notes for the Chaos Update in Hades, and our guide on what the door symbols mean in Hades!